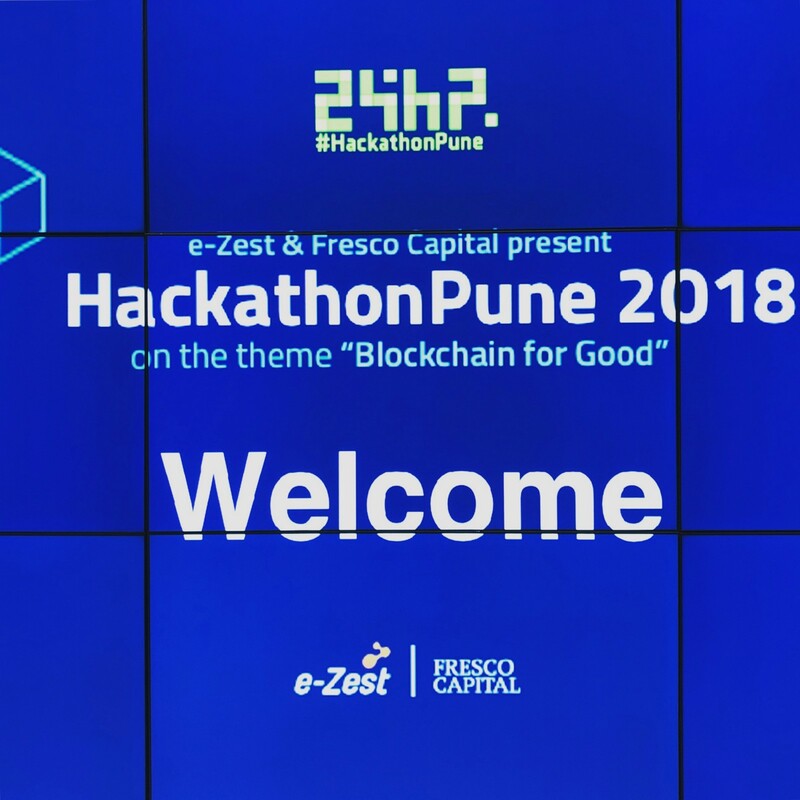 The Hackathon was kicked off on Saturday morning by e-Zest CEO and co-founder Devendra and myself. After some set up, the teams began coding for the next 24 hours. We had about 80 teams/200 developers which produced 75 Blockchain projects. After a few hours of coding the project themes started to emerge. Most projects were looking for gaps or inefficiencies in the marketplace and filling them with a blockchain solution. The developers were working very hard and only had a few breaks for food. Us organizers were equally as busy as we had a seminar, startup pitch event, and CIO roundtable going on at the same time. After a few hours my hosts brought me outside to relax with some refreshments. 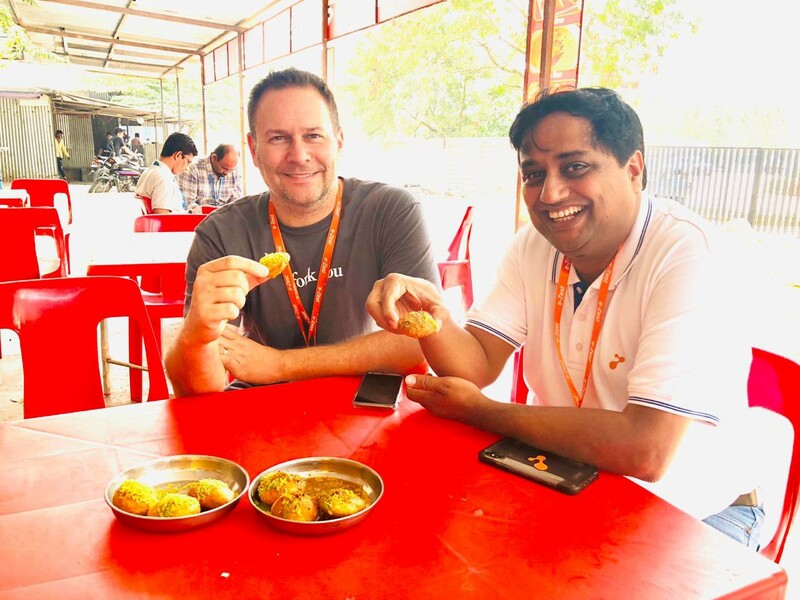 Devendra and I sharing a local dessert. After a long day of coding, around 9pm, we needed to spice things up and get the blood flowing. A local band came and played for about an hour to allow everyone to wake up with a little dancing. This is a very effective way to take a break at a 24 hour hackathon. 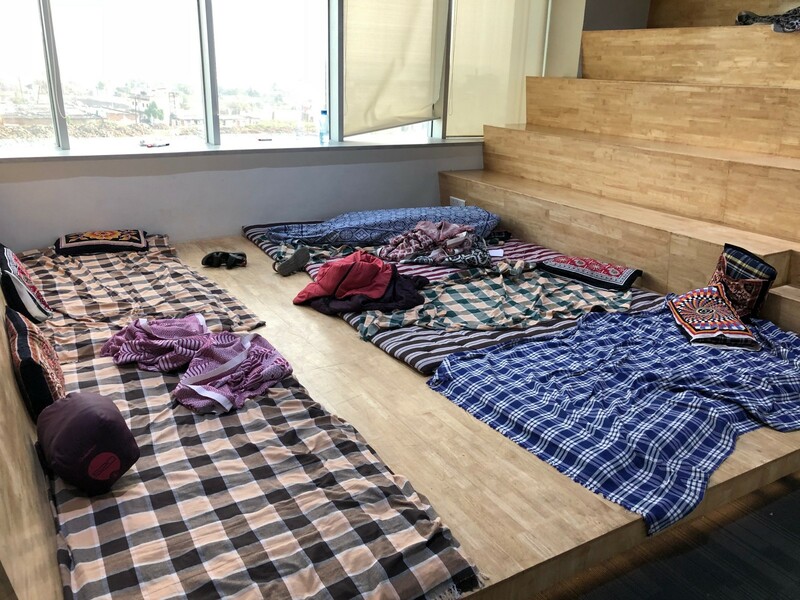 People worked though the night, but the sleeping bags were provided so people can grab a nap. By early morning everyone was back at work and the first judges arrived on the floor around 6:30am. Using blockchain to manage the custody/supply chain of blood donations. (This was the winner) In India there is a big problem around fraud and counterfeit blood donations. 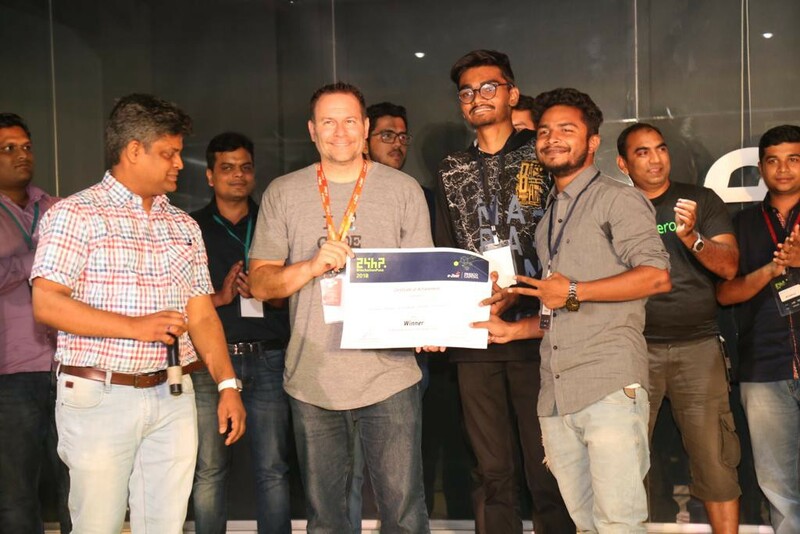 In true Indian style, this team did not use any public or open source blockchain, they wrote it themselves. Identity management using distributed identity. Alternative to Facebook Connect. Certificate validation of HTTPs sites using blockchain. This is a very developer centric solution, but a big global issue. Criminal records via blockchain. At first I thought this would be a private blockchain run by the police, but it would be open for say hotel owners, shop owners, etc to enter data related to a crime or criminal investigation. Responding to a failure of the public sector (a common theme this year and last year.) A similar team had a chain of custody blockchain solution. Voting records via blockchain. There were several teams doing something similar, again responding to a public sector failure. Securitization of Solar Energy. Instead of having the grid buying your excess power, you would be compensated in tokens. Renewable energy/pollution was a theme of several companies. Insurance smart contracts via blockchain. Had a focus on the sharing economy as well. Hyperledger was very popular, a handful of teams (including the winner) spun up their own blockchain, and the Ethereum blockchain was very popular with any smart contract team. As always the hackathon was an amazing experience and I’m already looking forward to next year!